One 14 karat yellow gold floral ring. One citrine (3.15 carats). 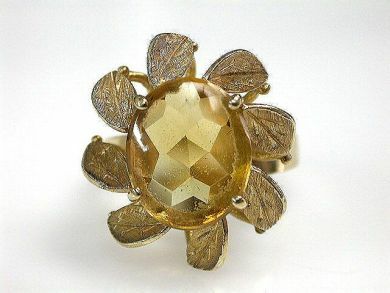 Eight stylized petals around the citrine.